With all the snow that’s on the ground, we ought to make the most of it and have fun with it, right? And don’t make excuses, nobody’s too old have fun in the snow. Don’t believe me? Just check out the video below and see that even seniors can enjoy the snow too! Meet Claude Bratcher, a 90-year-old World War II veteran! 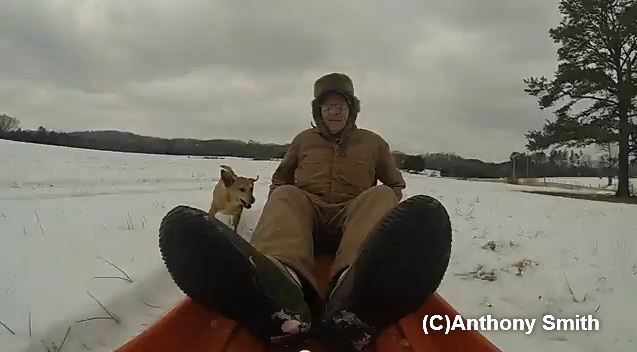 Bratcher is proving to everyone that no one is ever too old to enjoy a day of snow sledding! After watching his grandkids having so much fun sledding, he just had to join the fun! And it’s not just him who wants to join the fun, their dog wants to join too! Watch the video below and see them have some fun in the snow!